The new Winter Response 2 from Dunlop offers excellent braking and handling performance in all winter conditions. Incorporating a new innovative reverse tread design for maximum snow traction, and high density sipe system for penetrating ice, the Winter Response 2 enhances both braking and cornering in all winter conditions. Complemented by an optimised carcass construction for improved rolling resistance, the Winter Response 2 also offers excellent fuel saving for a winter tyre. 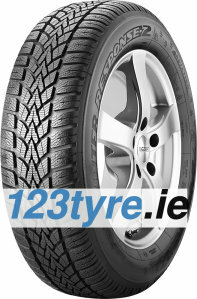 Winter tyres specially developed to maintain vehicle control in all driving conditions during the winter. SP Winter Response is a winter tyre that offers grip and better control and improved levels of response to winter driving in all conditions. 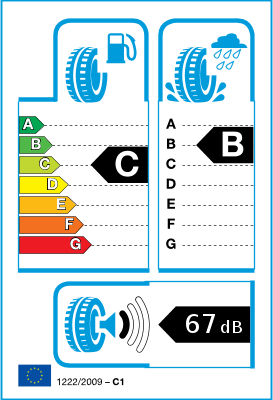 Winter tyres that shows two types of blades, working together to provide better stability and traction control. Tabs on the shoulders of the tyre traction and braking performance boost, while high amplitude of the blade in the center of the gauge increases traction and produce high levels of resistance to slipping sideways while running in winter driving conditions. Winter tyres emblazoned with the mark 'M + S' in accordance with Council Directive 92/23/EEC of 31 March 1992 on the tyres (tires) motor vehicles and their trailers. Low rolling resistance. Optimised shape carcass construction means less deformation in comparison to a standard tyre, for improved rolling resistance and better fuel economy. Reliable winter braking. Our innovative Reverse Snowguide block pattern captures snow in the centreline of the tyre tread for increased contact area, meaning more grip when braking and accelerating.